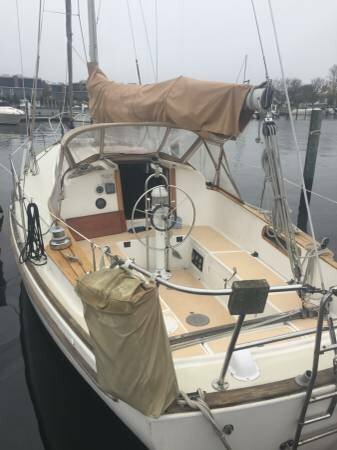 Polar Bear is a clean, solid boat that sails great. 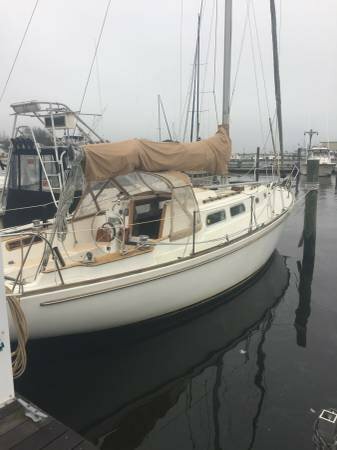 All sails are in very good condition. The main is equipped with a Dutchmen flaking system installed new in 2016. Custom made sail cover new in 2016. 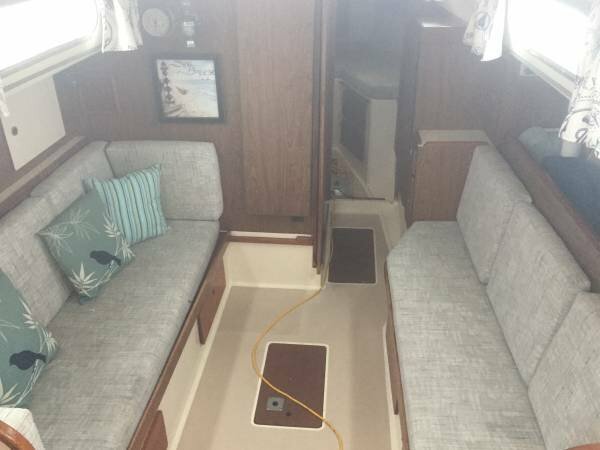 An awning new in 2016 that covers the entire cockpit+ with batten pockets added for stability. New windows and zippers added to dodger also in 2016. 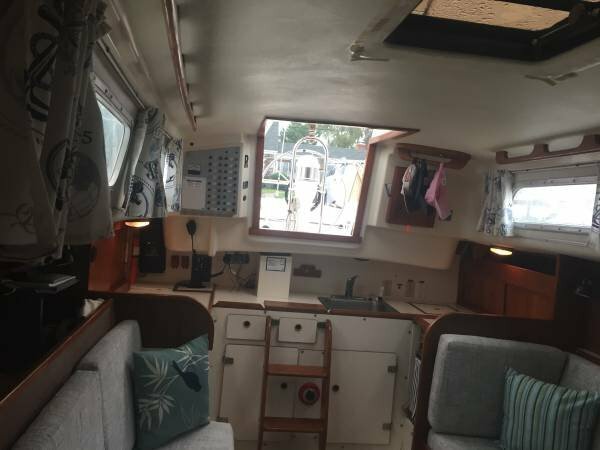 This boat has a very spacious cockpit with full cockpit cushions.The V berth sleeps two comfortably. 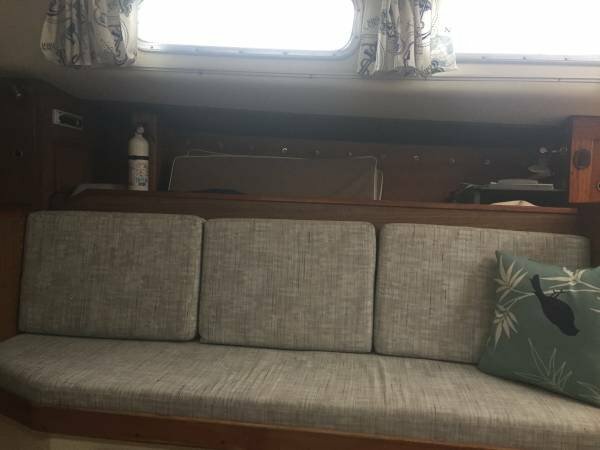 With a hanging closet and ample drawers and shelves for storage.The port settee folds down to a double bed and the starboard to a single. Head on port side just aft of V-berth. Manual toilet with seals and hoses replaced in 2016. H and C running water and shower. Another hanging closet opposite the head for storage. 5400 lbs. / 2449 kgs. Model BD1005 less than 700 hrs. Extra oil filter, fuel filters, water pump impeller and belts. AM/FM stereo with CD player. Ample storage. New curtains in 2017. Electric bilge pump with float switch. 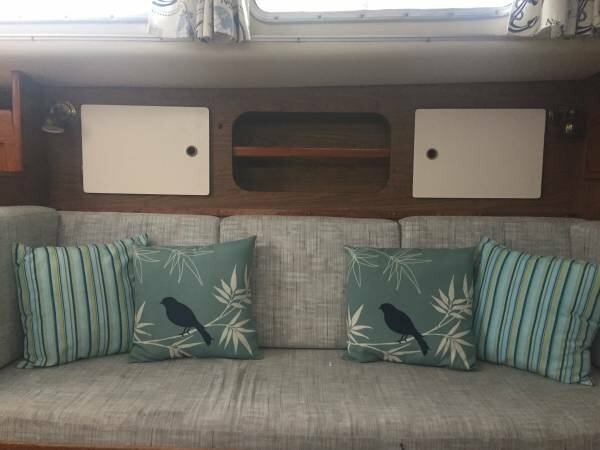 Tinted hatches in V-berth and main cabin. SS gas grill that hangs off stern. 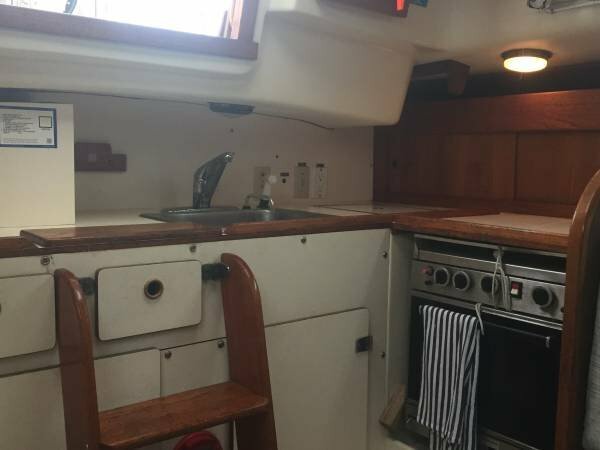 Aluminum mast requires 446 of clearance. 5 Ritchie Compass mounted on an Edison pedestal w/cover.